After Jessica shared her baby name, fans couldn't help but share their opinions. 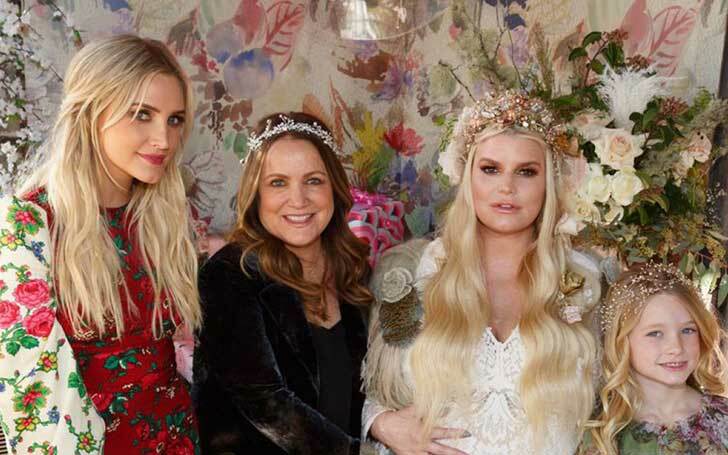 In a matter of weeks, Jessica Simpson is about to welcome her third child- a baby girl and the name she picked for her baby outraged some fans. While celebrating the baby shower over the weekend, photos from the party hinted as to what Simpson plans to name the newborn. In an Instagram post from the party, the fashion entrepreneur poses with her 6-year-old daughter, Maxwell both in a floral ensemble in front of a neon light sign. She further captioned the mother-daughter photo, Birdie's nest' which arose the curiosity as to what's the name she picked for her baby. "Do we think the babies name will be Birdie?!" Though it seems like a logical assumption, not everyone is excited about the possibility. Considering the possibility, critics went as far as to say it would have a negative effect on the kid's long term future. Jessica's fans also had few things to say about the potential baby name. “Please tell me that poor baby is not going to be named Birdie,” wrote one fan. “Ahhh that has to be the name ❤️." Simpson however, isn't a newcomer to getting grief over her baby names. Earlier, Simpson and her husband Eric Johnson raised eyebrows when they named their first daughter Maxwell Drew, with critics claiming it was too masculine for a little girl. Well, for now, these are all speculations and the 38-year-old singer is yet to formally announce the name of her upcoming daughter. Jessica and her husband Eric is already a parent to two children, including a daughter and a five-year-old son, Ace.